The Navigator Company announced that it will be increasing prices by 6 to 8 % in Europe. This measure will be effective with orders shipping March 26th, 2018. The paper industry cost drivers continue to show a steady rise. This fact results on the need to defend our profitability and therefore, the Navigator Company will be applying a price increase in Europe in all products and markets, ranging from 6% to 8% and from 26th March dispatches. −---Pulp sales grow 19% in value, with volume and price both rising. Turnover for 2017 stood at € 1 637 million, up by 3.8%, sustained essentially by strong performance in sales of pulp, power and tissue. Paper sales, which totalled € 1.2 billion and contributed to 73% of turnover, were 0.9% below the previous year. average price also followed an upward course, rising 12% over the year, with pulp sales growing by 19% in value, to a total of € 164 million. Conditions in the UWF paper market also improved gradually over the year, with progressively stronger order books in Europe and in overseas markets. Through to the end of November, global demand for UWF increased by approximately 0.2%, with growth concentrated in Asian markets, and China in particular. In Europe, apparent consumption held steady (up 0.1%), with demand rising for Folio and Cutsize, and declining for reels. The Group recorded strong performance in the volume of paper sales, which totalled 1 578 thousand ons, roughly equal to the previous year (-8.6 thousand tons; -0.5%), whilst improving its product mix, in terms of quality (premium sales up 57 thousand tons) and its own brands (up 45 thousand tons). Although the price index for Europe – PIX A4 – evolved positively over the year, average prices in 2017 were still lower than in 2016 – 815 €/ton vs. 824 €/ton (down 8%). Over the course of the year, the Navigator Group successfully implemented four price rises which allowed it to reverse some of the decline experienced in the final quarter of 2016. However, depreciation of the EURUSD and EURGBP exchange rates and the evolving market mix did not allow Navigator to completely reverse this trend, resulting that the Group's average sales prices ended the year practically unchanged in relation to the previous year. ice of 1.4%, and sales in value totalling € 74.4 million (up 10.3%). influences the index to which prices are linked. Navigator's total gross power output in 2017 was up by 5% on 2016. In another important development, 2017 was the first full year of operation for the solar power plant on the roof of the Setúbal paper mill (ATF), operating on a self-consumption basis. In its first year of operation in the United States, Colombo Inc. recorded its first pellets sales, achieving a volume of 120.6 thousand tons, and a sales value of € 15 million. As previously reported, the mill started up in an adverse market environment and also experienced a number of teething problems in production and in marketing the pellets, which continued over several months, which led to a negative impact on EBITDA from this business unit of approximately € 16 million. 2017 was an extremely positive year for the pulp sector: prices were increased several times and ended the year at an all-time high near 1 000 USD/ton. Most price forecasts for 2018 are also positive, without any substantial increase in the supply of pulp expected in the next two years. However, fears as to whether prices are sustainable at this level exist and may lead to a degree of adjustment over 2018.
occasions in 2017, and announced a fresh price rise for the North American market in early 2018. Order books remain at comfortable levels, and a positive year can be expected for the sector, whilst evolution of the exchange rate is likely to remain the main cause for concern. In tissue, January saw phase two of the current round of price increases, which started in October. The continued high level of pulp prices, combined with new capacity coming on to the market, will undoubtedly keep tissue producers under strong pressure again, especially in the case of non-integrated manufacturers. Within this framework, Navigator’s outlook for 2018 is positive in a year that will be particularly challenging for the Group, with the additional pulp capacity in Figueira da Foz due to start up in April, and the new tissue line in Cacia planned to produce its first reels in August. The Navigator Company continues its expansion in the tissue sector and signs a contract with Voith for the supply of a new XcelLine tissue machine. The production line is designed to sustainably produce high-quality tissue paper maximizing the usage of slush Eucalyptus pulp. The new tissue facility will be integrated in the existing Cacia site in Portugal, where the company operates one of the biggest pulp production plants in Europe. The scope of supply includes the latest Voith technologies to minimize energy consumption and achieve maximum efficiency in short fiber usage. Above all, the NipcoFlex T shoe press was a key factor in choosing Voith. With this technology, the need for thermal energy can be substantially reduced. The tissue machine is designed for an operating speed of 2,000 m/min. and will annually produce 70,000 metric tons of high-quality toilet and towel paper from pulp with a working width of 5,600 mm. Start-up is scheduled for second half of 2018. With this new investment the total tissue production capacity of The Navigator Company will raise to 130,000 tons per year. The new tissue production line will be equipped with further energy-efficient, operator friendly components and systems like the Pluralis refining technology, the MasterJet headbox, EvoDry T steel Yankee and the EcoHood T. A core part of the delivery will be the Papermaking 4.0 features including the innovative ComCore automation platform. The Navigator Company is one of Europe’s leading producers of pulp and paper. It has a total paper capacity of 1.6 million tons per year, largely integrated with pulp production, and more than 3,000 employees. As part of its development plan for a new cycle of growth, the Navigator Company in 2015 acquired an established tissue manufacturer: AMS-BR Star Paper, S.A.
closely following the wave of especially fierce forest fires which are severely affecting mainland Portugal, and is actively involved in the fire-fighting efforts. As the country looks on in shock and consternation, our first word is to the victims of the fire in Pedrógão Grande and their families, and to all those who, in appalling conditions and at the risk of their own lives, have thrown themselves into the task of fighting the fires. Navigator has its own teams on the ground, in particular those belonging to the fire-fighting brigade system (Afocelca), and it is still too early to make an accurate assessment of the areas burned on our own forests in its own holdings and/or those of our suppliers. In view of the geographical diversity of our sources of raw material, we have no risk of wood supply disruption to any of our sites. We are continuously monitoring the situation and we also do not anticipate any risk of disruption in supplying any of our products to the market. Preliminary investigations by the official authorities indicate that the likely cause of this series of fires in central Portugal was a rare combination of extremely adverse meteorological conditions, consisting of persistent temperatures of over 40 degrees, lightning storms without rainfall and sudden and intense winds. The immediate priority is to succeed in the unequal struggle against what is already the fiercest forest fire in living memory in Portugal. However, Navigator, well acquainted with Portugal's forests, wishes to stress the need for rigorous care in managing forests, in order to mitigate the risks and effects of calamities of this kind. According to official figures, between 2000 and 2015, most of the area burned in Portugal consisted of scrubland and pasture, accounting for 49% of the total. Eucalyptus, our essential raw material, represented 13% of occurrences over the same period, this relatively low figure is due, to a large extent, to plantations being managed in accordance with best forestry practices. The Navigator Company is firmly committed to the success of the fire-fighting operations and continues to operate at full capacity, resolutely determined to maintain the high quality standards characteristic of all its dealings with its customer base. Government plans to limit eucalyptus plantations are negative for 400 thousand forestry producers and could damage competitiveness of the Pulp and Paper Industry, already forced to import wood costing around € 200 million each year. Turnover grew by 2.1% to € 392.7 million, thanks to strong operational performance in sales pulp, tissue and energy, while the paper business also recorded higher-than-expected sales. Pulp sales grew by around 40% and stood at more than 90 thousand tons. This increase was made possible by strong demand over the quarter and increased availability of pulp for the market from the Cacia mill. The growth in sales allowed the Group to minimise the negative impact of lower prices, as PIX-BHKP index presented an average price in euros 6.1% down on the first quarter of 2016. As a result, the value of pulp sales rose by 24.7%, to 43.2 million euros. Paper sales also reflected an improvement in market conditions, with order books significantly stronger in Europe and a reduction in the level of imports. In this environment, the Group sold 371 tons of paper, slightly down from the record figure of Q1 2016 (377 thousand tons), whilst improving its product mix. However, average prices were below the level recorded in the same quarter last year, with the PIX-A4-Bcopy Index at 803€/ton (vs. 836 €/ton, the highest average quarterly price for the past 4 years), with the result that the value of paper sales was down by 4.8%, at 282.3 million. Figures for tissue sales were similarly positive, with growth of 23.5% in volume, to approximately 14 thousand tons, benefiting from the expansion of production and converting capacity over the course of 2015. In value, tissue sales totalled € 18.1 million, thanks to the increase in quantities sold, combined with a slight decrease in the average sales price as a result of reel sales accounting for a larger proportion of sales (up by 14.4%). Technical issues affecting the renewable co-generation turbines in Cacia and Setúbal were successfully overcome and power sales rose in value by around 22%. -Colombo Energy in US completes and starts up pellets mill with annual production capacity of 500 thousand tons. -Record sales volume for pulp and paper in quarter secures sales of € 422 million (€ 377 million), softening the impact of lower pulp and paper prices. The Navigator Company recorded turnover of € 1,577.4 million in 2016, as compared to € 1,628 million in 2015. This reduction was due primarily to a drop in the value of energy sales, after the review of the tariff for sales to the national grid by the natural gas co- generation plant in Figueira da Foz, and also to the global contraction in pulp and paper price observed over the course of 2016. The Group mitigated the downward trend in prices by increasing its sales volumes, and also through an effort to reduce costs. In Europe, conditions in the UWF market deteriorated during 2016, and estimates point to a reduction in apparent consumption of 3.8% (-0.3% in 2015) and growth in total imports of more than 18%. Paper imports from Asia increased significantly, in particular in office paper, triggering an overall downwards adjustment in prices. In this difficult environment, Navigator achieved UWF sales of 1,586.8 thousand tons, up by 2.0% in relation to 2015, setting a new record in terms of volume. The Group succeeded in placing additional volumes of paper in this context by increasing its sales both in Europe and in International markets. In European sales, the average price was 1.2% lower than recorded in the previous year, which compares with an increase in the A4 price index for Europe (PIX Copy-B) of 0.3%; this was due to a negative change in the group product and geography sales mix. Navigator's average sales price for all markets was down by 2.4% in relation to the previous year, also due to the change in product and geography sales mix. Falling pulp prices were a key feature of the business environment, in a descent which started in late 2015 and continued throughout 2016. The benchmark index for hardwood pulp (PIX - BHKP) dropped by around 16% in USD and 13% in Euros in relation to the start of 2016. Navigator nonetheless recorded strong operating performance: the volume of pulp placed on the market stood at 290.6 thousand tons, pushing up sales by around 15.1%, thanks to the capacity expansion at the Cacia mill in 2015, which has resulted in increased availability of pulp for the market. The increase in the sales volume fell short of wholly offsetting the reduction in prices, and the value of pulp sales ended the year a around 1.6% below the figure recorded in 2015. Increase of 4% to 6 % from 24th February dispatches due to industry’s key cost drivers, solid demand in the last few months leading to record high order books for the season and the lowest level of prices in the last seven years. 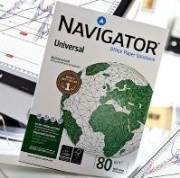 The Navigator Company, European leader in the production of UWF paper, is set to increase the prices for its UWF (uncoated woodfree) paper products across several European markets, by 4% to 6%, effective on dispatch of goods from the 24th February. The strong pressure on the industry's cost structure, which has undermined profitability and led to the closure of several plants in the US and Europe, has made this price review inevitable. Moreover, in recent years paper industry has endured a significant decline in paper prices, which cause the lowest paper price levels in Europe in the last seven years. This balance results in an inevitable need to take action to mitigate those effects. The new prices will be sustained by the positive signs that The Navigator Company is witnessing in the last months and expects to further intensify for the coming months, not only with the better outlook in European Markets but also with the strengthening of Overseas Markets, mostly denominated in $US. The increase in confidence levels in Europe has already resulted in more robust order books across the markets. Actually the Company is enjoying for quite some time an overall order book that has set a new record for this time of the year. This price increase in Europe follows another one done in North Africa and Middle East fully implemented in January. The Navigator Company sells its products to 130 countries over five continents, under its own paper brands with a strong reputation for superior and consistent quality - Navigator, Pioneer, Inacopia, Explorer, Target, Discovery and Multioffice. The Navigator brand, in particular, is the world's best-selling office paper in the premium segment and recently has claimed top place, in Europe, in every category of the Brand Equity Index developed by Opticom International Research AB. In this survey Navigator scored top for brand recognition and sales, as well as being the brand with the highest loyalty index and the highest quality perception index. -Navigator Brand: top preference of European consumers, leading the Brand Equity Index, and regarded as the office paper brand offering the most value to users. The Navigator Company recorded turnover of € 1,155.4 million, as compared to € 1,204.3 million in the first nine months of 2015. The drop in the overall value of sales was due essentially to a reduction in power sales, after review of the tariff paid by the national grid for electricity from the natural gas co-generation plant in Figueira da Foz. In paper business, the Group again achieved strong sales, with UWF at a new record of 1,155.5 thousand tons. Good performance was also recorded in volumes of pulp and tissue. Despite a significant reduction in capacity in the European paper industry, which permitted an improvement in the capacity utilization rate of 1pp, conditions in the UWF market gradually worsened over the course of 2016, with a reduction in apparent consumption estimated at around 4% while total imports into to the European market climbed by over 25%. Paper imports from Asia increased significantly, in particular in office papers, triggering an overall downwards adjustment in prices. In this difficult environment, Navigator achieved UWF sales of 1,155.5 thousand tons, up by 2.2% in relation to the first nine months of 2015, setting a new record in terms of volume. The Group increased its European sales at the same time as achieving significant growth in sales to international markets. The European A4 copy-B price index performed well (up 1.4%), and Navigator's average price for Europe was in line with the previous year. However, the Group's average price for all markets was down on the previous year due essentially to a less favorable mix in formats. In value, paper sales totalled € 890 million, a new record for the period. Conditions in the BEKP pulp market remained tough throughout the first nine months of 2016 and benchmark prices for hardwood pulp (PIX –BHKP) were down at the end of September by 15% in euros and 18% in USD. Navigator nonetheless recorded strong operating performance: the volume of pulp placed on the market stood at around 201 thousand tons, up by around 9%, thanks to the capacity expansion at the Cacia mill, which has resulted in increased availability of pulp for the market. The slump in the pulp market was also reflected in the Group's average sale price, and total sales declined in value by 3%. turbo generators at the Cacia and Setúbal pulp mills. Other planned maintenance work was carried out, notably at the natural gas cogeneration plant at the Setúbal Industrial Complex and on the Setúbal biomass power station. Total gross power generation in the period was accordingly down by 12.3% in relation to the same period in 2015. As anticipated, natural gas cogeneration at Figueira da Foz switched in February to an own consumption only basis, reducing the volume of power sales to the national grid but also reducing purchases of electricity for one of the paper mills. Power sales decreased in volume (MWh) by 22.4%. The combined effects of reductions in power purchases and sales, and in purchases of fuel, essentially natural gas, brought down EBITDA by approximately € 8.1 million in relation to the same period in 2015. In the tissue sector, the volume of sales of products and goods from the Vila Velha de Ródão plant (in tons sold) grew by approximately 27% in the first nine months of 2016, thanks to the expansion in production and converting capacity over the course of 2015. The increase in quantities sold, combined with a slight decline in the average sales price, caused by changes in the product mix (increased sales of reels), resulted in tissue sales worth close to € 50 million. In terms of cost factors, the Group experienced an increase in the average cost of wood purchases. Despite an improvement in specific consumption, increased use of imported wood and the consequent deterioration in the supply mix added to the overall acquisition cost. Wood still needs to be imported from Spain and outside Iberia to make up the shortfall in local supplies; forestry operations were also hit by the fires which occurred during the summer. As observed in the first half, logistical costs for paper were brought down further thanks essentially to falling oil prices, increased use of ports closer to the mills (Setúbal and Figueira) and improvements and greater efficiency in the Group's commercial operations. Attention should be drawn to Navigator's efforts to reduce maintenance costs in all of its industrial facilities, which have reflected positively in costs registered at the annual maintenance stoppages. The reduction in maintenance costs recorded in the first nine months of 2016 is inflated by the changed timing of maintenance stoppages in some of the Group's plants, which in 2015 were carried out and included in the accounts up to September, and in 2016 will only be completed and reflectedin the accounts in the 4th quarter. Personnel costs were up by approximately € 5.2 million in relation to the first nine months of 2015. This increase was only to be expected in view of the expanding workforce: at the end of September employee numbers had risen by 401, to a total of 3,063, as a result of new business ventures and incorporation into the business model of activities which were previously outsourced. Excluding the impact of employees in new business areas and insourcing, and other non-recurrent impacts, personnel expenditure calculated on a comparable basis for 2015 and 2016 would instead have fallen by approximately € 0.8 million, or 1%. In accordance with and for purposes of article 248, no. 1, paragraph a), of the Securities Code, The Navigator Company, S.A. (“Navigator Company”) hereby informs that, early on May 3rd, a fire broke out in the Group’s tissue mill located in Vila Velha de Ródão. The internal emergency procedures were immediately activated, and support from local authorities was requested, with several fire brigades from the Castelo Branco district mobilized, in addition to the mill’s own firefighting systems. No personnel injuries were registered. Although it is not yet possible to ascertain the cause of the fire and the full extent of the material damages, the fire was contained to the paper production area, without causing any damage to paper machine number 2. The fire did not damage the converting area, or any of the finished product warehouses, and the mill's normal operations and regular supply to customers will not be affected. On 5 February 2016 the Portucel Soporcel Group changed its corporate brand to The Navigator Company. Inspired by their leading paper brand, this new identity represents the coming together of companies with a history dating back more than 60 years. The rebranding sets out to convey a contemporary image in tune with the reputation enjoyed by one of Portugal's largest business groups, with a strong international presence. The 2016 1st Quarter accounts are the first to be reported using the new identity. The Navigator Company recorded sound performance during the first quarter of 2016, with turnover totalling € 384.6 million. Despite positive performance in paper, pulp and tissue, the Group's turnover was negatively affected by a reduction in the value of power sales, caused by the revision of the national grid tariff for power from the Figueira da Foz cogeneration plant. nt in capacity utilization rates. At the same time, exports fell and imports into the European market increased, whilst estimates point to a reduction in apparent consumption of approximately 3%. In this context, the Group recorded sales of 378 thousand tons, its highest ever figure for the first quarter of the year, up by 4.6% on its sales volume in Q1 2015. The Pix A4-B copy index improved by 2.8%, and the Group's price in the European market rose in line with the index. As a result, paper sales totalled € 297 million euros in value, representing growth of 4.9%. In bleached eucalyptus pulp (BEKP) business, the Navigator Company enjoyed strong performance in the first quarter of 2016, sustained by the sales volume and the average sales price, up respectively by 13% and 2% in relation to the first quarter of 2015. The increase in the sales volume was due essentially to the increased availability of pulp resulting from capacity expansion at the Cacia mill carried out in 2015. Pulp prices were higher than in the first quarter of 2015, despite the downward tendency observed globally since late 2015. Since the start of 2016, the PIX BHKP index has dropped 10% in USD and approximately 13% in Euros, with an even more significant downward adjustment in prices in the Asian market. Accordingly, pulp sales in the quarter grew by 15%, to a total of € 35 million. Falling Brent prices in recent months have influenced the price of power sales from the Setúbal gas co-generation plant and reduced purchase prices for natural gas for a range of users. In the tissue sector, business progressed as expected, with growth of approximately 22% in the sales of products and goods from the Vila Velha de Ródão plant (in tons sold) in the first quarter of 2016, thanks to the expansion in production and converting capacity over the course of 2015. The increase in quantities sold, combined with a slight decline in the average sales price, resulted in tissue sales worth € 15.9 million. On the cost side, a reduction in specific consumption of wood has made it possible to bring down production costs. Evolution of the wood supply mix, with larger percentages of wood sourced from the Portuguese market and of own wood, has made it possible to cut the overall cost of this raw material. Improvements were also recorded in logistical costs for paper and pulp, thanks to falling oil prices and to efforts to improve and achieve efficiencies in the Group's export logistics. In this scenario, consolidated EBITDA surged to € 93.5 million, up by approximately 15% on the first quarter of 2015 and pushing the margin up by 3.4 pp to 24.3%. Attention should also be drawn to the negative impact on EBITDA of approximately € 2.7 million from application of the anti-dumping duty in the United States in the reporting quarter. Operating cash flow stood at € 81.8 million, up by 18.6 % on the same period in 2015. Despite sound operational performance, free cash flow was brought down (to € 18 million, as compared to € 51.7 million), as a result of the higher level of capital expenditure and increased investment in working capital, especially in relation to stocks, reflecting a normal reaction after the sales effort at the end of the year. Operating income also rose by 4.1%, to a total of € 56.4 million. Depreciation in the quarter stood at € 36 million, up by € 2.9 million on the same quarter in 2015, as a result of the new capital projects. renegotiated and extended the maturity of a commercial paper programme with a value of € 125 million, on more favourable market terms. Despite a drop in financial investment income as a result of lower liquidity, the net cost of financial operations fell by approximately € 3.1 million in the quarter. Foreign exchange income also performed well, improving by € 2.8 million in relation to the same period in the previous financial year. As a result, consolidated net income for the period stood at € 44.7 million, up by 7.0% in relation to the first quarter of 2015.
consolidating its core business as a manufacturer of printing and writing paper and eucalyptus pulp, diversifying into production of tissue paper, and expansion projects in new markets, including construction of a pulp mill in Mozambique and a pellets factory in the US. The Group's activities over the first nine months are the reflection of the implementation of this plan and the different stages involved. Turnover in the period stood at € 1.2 billion, up by around 5.8% from the figure recorded for the first nine months of 2014, due essentially to rising pulp and paper prices (in the context of the dollar rising against the euro) and to the inclusion of tissue business in the Group's consolidated accounts. Paper sales accounted for 74% of turnover, with power sales representing 13%, pulp 8% and tissue around 3%. In uncoated (UWF) printing and writing paper, the European market recorded a reduction in apparent consumption of approximately 1.6% whilst the dollar rose strongly against the euro. Both these factors contributed to growth in paper exports to markets outside Europe. To take advantage of foreign exchange trends, Portucel expanded its sales to USD denominated markets, recording growth of approximately 4.1% in overseas markets. As a result, the Group's average sale price evolved positively, rising by 5% in relation to the first nine months of 2014. Sales were up by 3.6% in value, although the volume of paper sales slipped by 1.5%. The slight reduction in sales volumes was due essentially to efforts to replenish stocks, which had fallen to a very low level, and to the increase in the volume in transit to clients. Over the same period, the benchmark index in Europe, PIX A4- Copy B, dropped by 1.3%. Bleached eucalyptus pulp (BEKP) business maintained the positive performance recorded since the start of the year, with prices significantly better than in the same period in 2014. The dollar-denominated price index performed well, with an average price of 778 USD/ton, as compared to 749 USD/ton in the same period in the previous year. Due to the foreign exchange effect, this increase translated into a sharp rise in the price in Euros, with the benchmark PIX BHKP index pointing to an average of 698 €/ton, up by 26.3% year on year. The upward trend in pulp prices resulted in an increase of 15.8% in the value of sales, despite a reduction of approximately 8.1% in the quantity sold. financial results also include the cost of foreign exchange hedges contracted for 2015 (€ 4.8 million), which more than offset the reduction in borrowing costs. As a result, consolidated net income for the period stood at € 141.9 million, representing growth of 6.6% in relation to the first nine months of 2014. Recent economic projections for 2015 continue to point to downwards revision of expectations for global growth, despite strong performance by the US economy and expectations of recovery in the Euro zone. The main factors of uncertainty come from emerging economies, due essentially to a slowdown in growth in China, the worsening recession in Russia and Brazil, and falling prices for the main commodities, in particular for oil. The weakness of the currencies of the main emerging economies, especially the leading exporters of raw materials, has also continued to create significant volatility on the foreign exchanges. Despite of this uncertainty, the pulp sector remains buoyant, with prices at rewarding levels and a healthy level of demand. High levels of consumption, particularly in the Chinese market, combined with the carefully managed entry of new capacity onto the market should continue to benefit pulp manufacturers for the rest of the year, especially if the current exchange rate situation is maintained between the dollar and the euro. The tissue paper segment continues to perform well, in particular in terms of demand, with interesting levels of growth in consumption in Europe and the emerging economies such as China, Turkey and Latin America, which should help to maintain a dynamic pulp market. In the UWF paper market, as reported above, Portucel announced in July a further increase in its prices in Europe as from 18 September. Before the close of the quarter, Portucel, like other paper manufacturers, announced a further price increase to its customers in Europe, taking effect in early January 2016. However, mention should be made of a number of factors which could trigger a degree of instability in the paper market in the months ahead. The impact of the anti-dumping measures initiated by the US authorities against a number of paper manufacturers (requiring these producers to apply high margins to their price when exporting to this market) will cause changes to the balance between supply and demand in a number of regions, in particular by increasing the pressure of supply in certain countries in Asia, Latin America and Europe. At the same time, falling currency values and currency controls in a number of countries in the Middle East, Africa and Latin America could also cause additional difficulties to international trade. As previously reported, these measures adopted by the US Department of Commerce have also affected Portucel, in the form of a provisional rate of 29.53%. The Company has expressed its complete disagreement, having cooperated with the Department of Commerce throughout the 3rd quarter to provide all the information needed to support its case. Portucel is confident that it will prove that there are no grounds for applying a rate as high as that provisionally set. Until year end, the application of this provisional rate is estimated to represent a collateral deposit of approximately USD 13.3 million. The definitive rate to substitute the provisional one will be set in January 2016. Following the Group's strategic option to diversify its activity and enter the tissue business, and after taking a first step with the acquisition of AMS BR Star Paper S.A. in the beginning of the year, Portucel S.A. approved, subject to the positive decision from Portuguese authorities regarding the financial and tax incentive package application, the investment in a tissue paper production line, with nominal capacity of 70 thousand tonnes per year and integrating equivalent converting capacity, with an estimated value of approximately € 120 million. With this project, the Portucel Group will have a global production capacity of 130 000 tons of tissue per year. The Group intends to develop a business model based on direct integration of pulp into tissue production and the location of this investment will be the Cacia mill site. Over the last months, several preliminary assessments were conducted, including viability and pre-engineering studies, in order to identify the more adequate technical solutions for this investment, both in terms of location and nominal production and converting capacity. If the necessary conditions to substantiate this investment are met, Portucel foresees the possibility to start production during the first half of 2017. Following the resignation of Mr. Francisco José Melo e Castro Guedes as member of the Board of Portucel S.A, and considering the inexistence of alternate members of the Board, the Company's Board of Directors has unanimously decided, in accordance to subparagraph b of number 3 of article 393 of the Companies Code, to susbtitute the resigning member by co-opting Mr. João Paulo Araújo Oliveira as member of the Board for the current four-year term. It was also unanimously approved that the designated member will be part of the Executive Committee, replacing Mr. Adriano Augusto da Silva Silveira, who will take on non-executive duties. Following the market release published on February 10th 2015, Portucel S.A. informs that, after the fulfillment of the necessary conditions for the conclusion of the acquisition of AMS BR Star Paper S.A. (“AMS”), its 100% owned subsidiary, About Balance S.A., acquired the entire share capital of AMS. • Net debt remains at very conservative levels, with a Net Debt / Ebitda ratio of 0.9. Against a background of falling pulp and paper prices, the Portucel Group has maintained stable turnover, at € 1,138 million. The robust volume of paper sales recorded over the first 9 months of the year offset the negative impact of falling pulp and paper prices. declined 1.4%, performing better than the A4 B-Copy index, which fell by 2.4%, as a result of the price increase implemented during the second quarter and maintained throughout the third. as a result of increased incorporation of pulp in paper and the planned production stoppage at the Setúbal pulp mill. In this environment, the reduction in the sales volume combined with lower prices resulted in a drop of around 18% in the value of pulp sales. In energy, output performed well, growing by 2.2% and standing at 1,783 GWh for the first nine months of 2014. Sales progressed in line with output, standing at 1,627 GWh. However, sales prices fell by around 2.2%, due essentially to the drop in the ALBm (Arabian Light Breakeven mean) over the period. This overturned the effect of growth in volume, and the Group recorded power sales of approximately € 174 million. On the cost side, the Group recorded an improvement in personnel expenditure (due fundamentally to adjustment of the estimate for holiday pay and allowances), as well as lower costs for chemicals, in line with developments over the first half. Noteworthy, although wood prices over this period compare poorly with those in the same period in 2013, market conditions have picked up slightly in the last few months, and this trend is expected to continue throughout the end of the year. In this context, the Group recorded EBITDA of € 238.7 million, down by around 8%, generating an EBITDA / Sales margin of 21%. Operating income totalled € 164 million, as compared with approximately 183.7 million recorded in the same period last year. the maturity of its debt and improving its liquidity, but at the same time increasing the associated costs. The worsening in financial results was also due to a substantial reduction in returns from the investment of cash surpluses. Net income stood at € 133.1 million, representing a reduction of 11.1%. As recorded in the first half, the effective tax rate for the first half was significantly lower than the rate of tax for the first nine months of 2013, thanks to the release of provisions which proved not to be necessary. Portucel closed the 3rd quarter with growth of 2.4% in turnover, a positive result in view of seasonal factors affecting this period. This growth is explained essentially by a significant increase in paper sales, although energy sales also made a positive contribution to this strong performance. UWF sales totalled 405 thousand tons, a figure which compares extremely favourably with equivalent quarters, and represents growth of 7.5% over the previous quarter. The increase in sales volume made it possible to offset the drop in average paper prices, and sales grew in value by 3%. In pulp, after a fairly positive second quarter, the sales volume dropped by 12.3%, although the Group's sales price performed well. This was due in part to an improvement in market prices (the PIX index rose by 0.3% thanks to the positive impact of the EUR/USD exchange rate towards the end of the quarter) and also to an increase in sales on traditional markets in Europe, with more demanding quality standards but also higher returns. strength of the dollar against the euro during September. As a result, sales to the national grid grew by 5.1% and the average sales price rose by 2.9%, meaning that the value of power sales was up by more than 8%. The soft landing observed in the eucalyptus pulp market as from mid-2013 continued into the 3rd quarter of 2014. As reported above, the supply of eucalyptus pulp has grown systematically during 2014, with new capacity coming on to the market as a series of large scale projects in South America move into production, at a faster rate than market demand is able to absorb. September, this trend was countered by the strength of the dollar against the euro, leading to higher prices in euros. Another significant development was that, at the end of the 3rd quarter, the price difference between the two fibres in the PIX index - NBSK long fibre and BHKP short fibre - widened to a maximum level of USD 206. This differential is expected to accelerate the effect of fibre substitution, with a positive impact on the price of hardwood pulp. demand for pulp has been concentrated essentially in eucalyptus fibre pulp, up by 470 thousand tons, to the detriment of demand for other pulp types, in particular long fibre pulp. Rising consumption in the Chinese market (+0.9%) has been decisive, offsetting poorer performance in other markets, such as North America (-0.7%) and Western Europe (-1.5%). The Group's BEKP pulp sales in the 3rd quarter of 2014 stood at 66 thousand tons, down from the figure recorded in the same period in 2013, but at the level which was expected, considering the schedule of maintenance stoppages at its mills. Overall, apparent UWF consumption in Europe grew by approximately 1% over the first 9 months of 2014. This growth in apparent demand was sustained by supply from European manufacturers, more than offsetting the reduction in imports. Special attention should be drawn to the performance of UWF printing paper, where the sales volume was up after several years of declining figures. However, over the course of the third quarter, and after four quarters of consistent growth, consumption cooled off slightly, and this was particularly visible in the slower pace of new orders from European customers. The European industry recorded a capacity utilization rate of approximately 91%, one percentage point up from the same period in 2013. Throughout the period, order books in the UWF industry were stronger than in 2013, although they fell off towards the end of the third quarter, as a result of the reduction in new orders already mentioned. In this context, the main market index for UWF prices in Europe (PIX Copy B), which had been on a downwards course since 2012, enjoyed a period of recovery with prices rising in April 2014.
movement in prices never materialised, and the main benchmark index for the sector (Risi 20lb cut-size, 92 bright) stagnated in relation to the same period in 2013. In this environment, the Group was able to set a new record for paper sales in the first nine months of the year, boosted by growth of 3% in the sales volume on European markets. recorded growth of 3% worldwide and in Europe. Navigator continued to record impressive growth, up 5% around the world and 6% in Europe, once again achieving levels of penetration and brand recognition unrivalled in the industry. This momentum in European sales allowed the Group to further expand its share in European markets. Thanks to the quality of its products and the success of its brands, the Group's prices outperformed the market by up to 3 percentage points in Europe, and 5 percentage points in the United States. The performance of the world's main economies, and increasingly that of the emerging economies, remains the crucial factor in determining trends on the pulp and paper markets. The absence of growth in Europe, the fragility of the recovery in the US economy and the economic and political challenges facing the emerging countries contribute to a scenario of uncertainty and volatility in the markets. The US economy has yet to show clear signs of a solid recovery, and the recently increased strength of the US dollar could hamper the country's growth. A less strong euro may be expected to have a positive impact on European growth which, combined with the retention of recent monetary stimuli, might bring new momentum to this area, serving to counter the growing risks of deflation. In the emerging markets, and especially in China, no strong signs of growth are expected, a situation aggravated by the political and social instability affecting various globe areas, and particularly those where fossil fuels are produced. due to the recent evolution of the euro/dollar exchange rate, which has caused pulp prices in euros to rise. Likewise, the historically high spread between long and short fibre public prices will continue to result in substitution by short fibre in certain paper sectors. At the same time, expectations of the tissue paper segment remain positive, with interesting levels of growth in the emerging economies such as China, Turkey and Latin America, which should help to maintain a dynamic pulp market. demand in the Group's traditional markets. In this context, the Group will continue to operate at full production capacity, thanks to the perception of the excellent quality of its value proposition, strong penetration and awareness ratings for its own brands, as well as ongoing efforts to expand its markets, as the Group continues to search out new development opportunities consistent with its strict criteria for returns and risk. toughening of market conditions” said Diogo da Silveira, Portucel Chief Executive Officer. recording a drop in the value of its pulp sales. totalling 1,170 GWh for the first six months of 2014. Sales progressed in line with output, standing at 1068 GWh. held down turnover from power sales, which stood at € 114 million. biomass power stations in Cacia and Setúbal. paper and power over the period. of chemicals and logistic operations for pulp and paper. Lower power prices were also reflected in the price paid for electricity purchased, resulting in an overall positive balance on these operations. over the period, which hampered forestry operations. as a result of renegotiation of its debt in 2013.
substantial reduction in returns from the investment of cash surpluses. proved not to be necessary. although pulp business also made a positive, but smaller, contribution. this was not translated into growth in the value of sales. leading economies, and increasingly by that of emerging countries. to short fibre being substituted for long fibre. all factors which may have an impact on the balance of supply and demand in BEKP pulp. market conditions are expected to worsen slightly, due to season factors. Under and for the purposes of Article 248 of the Securities Code, we hereby disclose that, following the application by its subsidiary CelCacia – Celulose de Cacia, S.A. to the Special Regime for Innovation Incentives, Portucel S.A. was notified of the approval of a global package of tax and financial incentives by the Portuguese Agency for Foreign Commerce and Investment (AICEP). This application aims the expansion of the production capacity of the Cacia pulp mill, with a global estimated investment of 56.3 million euros. The approved incentives include 11.260 million euros of reimbursable financial incentives and 6.756 million euros of tax incentives. The agreement contemplates a realization premium, which corresponds to the conversion of up to 75% of the reimbursable incentive into non-reimbursable incentive, subject to the completion of a certain number of objectives. The time limit to complete this investment project is June 30th 2015. In a particularly harsh business environment, marked by a severe economic downturn, the Portucel group’s consolidated turnover grew by 1.2% over the first nine months of 2012, standing at € 1,109.5 million. This growth was achieved on the strength of growing output and sales of uncoated woodfree (UWF) printing and writing paper, and excellent operational performance in the energy sector. The international economic situation has directly contributed to increased unemployment and caused a downturn in paper consumption. Despite the difficulties this creates, the Group achieved extremely positive performance, with sales growing approximately by 3% in quantity. With the price of paper relatively steady, the value of paper sales increased by also around 3% in relation to the first nine months of 2011.
months of 2011, with the result that pulp sales recorded a reduction of 20% in value in comparison with the same period last year. As already mentioned, the energy sector performed well, with power sales to the national grid totalling 1 264 GWh, representing growth over the same period last year of 2.4%. Although the trend over the year has been positive for some of the production costs, in particular for the cost of raw materials, chemicals and personnel expenditure, this was not enough to offset a significant increase in the cost of electricity and natural gas of almost € 29 million, as well as in logistical costs, meaning that the Group recorded an overall increase in total production costs. The industrial disputes which occurred in September in port operations also had negative consequences for the Group’s logistical costs. We should point out that Portucel is the largest exporter of containerized cargo in the Iberian Peninsula, accounting for some 10% of all containerized and conventional cargo exported through Portuguese ports. In this context, consolidated EBITDA stood at € 282.8 million, which represents a reduction of 1.8% and an EBITDA / Sales margin of 25.5%, down 0.8 percentage points on the margin recorded in 2011. Operating results stood at € 213.4 million and compare favourably with the same period in 2011, having been positively influenced by the reversal of provisions of approximately € 9.5 million, as well as by a reduction in the value of depreciation over the period, due to the normal life cycle of the Group’s industrial assets. The Group recorded negative financial results of € 12.9 million, which compare favourably with the negative results of € 15.3 million recorded in 2011. This improvement was due essentially to a reduction in the Group’s net debt, and to a drop in the respective average borrowing cost, as a consequence of the downward trend in interest rates. As a result, consolidated net income for the period stood at € 160.2 million, representing an improvement of 11.2% over the previous year. Turnover in the third quarter of 2012 totalled € 366.8 million, down by 5.9% on the previous quarter, due fundamentally to a reduction in pulp and paper sales in quantity. Only energy business recorded positive growth, expanding by around 2%. In paper business, seasonal factors typically observed in the third quarter had a negative impact on the Group’s sales, which dropped by approximately 8% from the second to the third quarters. Performance in BEKP pulp was similar, with sales to the market falling by 11%, hit by the maintenance stoppage already referred to and by the slowdown in the pulp market over the course of the third quarter, particularly in July and August. In terms of operational performance, 3rd quarter EBITDA stood at € 95.7 million, up by 2.3%, although the comparison is influenced by a number of one‐off events which affected the value of EBITDA in the second quarter. The EBITDA / Sales margin stood at 26.1%, representing an improvement of 2.1 percentage points. Operating results evolved along similar lines, standing at € 72.2 million. The Group recorded net income of € 54.5 million, representing an increase of 2.0%. The world market in printing paper has been severely hit by the harsh economic climate, which has necessarily undermined the main consumer markets for these products. The downturn was sharpest in European and North American markets. companies to cut costs, the reduction in printing paper as a whole was lowest, at 1.6% in relation to the same period in 2011. The capacity closures effected by a number of competitors in the sector in 2011, due to falling competitiveness, continued to have a beneficial effect on the market balance, and enabled the industry to operate at 92% of total capacity, both in Europe and the US, up from the figures recorded in 2011. The US dollar rose strongly against the euro over much of the period, but, nevertheless, ended the third quarter 3% down in relation to the exchange rate recorded at the end of the previous quarter. published by FOEX. This increase was due to improvement in the geographical sales mix and the positive foreign exchange effect. The Group continued to improve its market penetration in Europe, winning new business in excess of 82 thousand tons and bringing its market share close to 17%. The Group’s mill brands are, of course, one of the central pillars of its commercial strategy. Its leading brand, Navigator, achieved new sales records around the world, growing by 3.5% over the same period in 2011.
customers and by cutting total stocks of finished paper and unfinished products by the equivalent of five days’ sales. summer in European markets and the high levels of stocks in the Chinese market. China continues to be a crucial player in the world pulp market and, despite the slowdown experienced in the summer, it continued to present robust consumption over the course of 2012, with a high level of pulp imports, in line with the figures for 2011. The pulp market appears in fact to be benefitting again from renewed buying activity on the part of the Chinese market, reflected in a wave of announcements of price increases from October onwards, in all markets, for both long and short fibre pulp. In contrast, the highly complicated economic situation in various Euro Zone countries has caused not only a slowdown in the paper industry but also a certain amount of volatility on the foreign exchanges, which has generated instability in the industry and is unpropitious for any increase in USD prices, such as those recorded in the recent past. As already mentioned, the Group’s BEKP pulp sales in the first 9 months of 2012 dropped by 20%, caused by a reduction in the quantity of pulp available for sale over the period, due to the maintenance stoppages and also to increased incorporation into paper manufacture. A breakdown of BEKP pulp sales by paper segment shows that the Group strengthened its position in segments with higher value added, comprising the special papers segment, which accounted for 64% of all sales, as compared to a figure of 58% for the first nine months of 2011. An analysis of sales by destinations shows that all pulp sales went to European markets, home to manufacturers of higher quality paper where technical demands are more stringent and where the intrinsic qualities of the eucalyptus globulus pulp produced by the Group are more properly valued. The Group has continued to advance with its investment project in Mozambique consisting, as mentioned in previous reports, of developing a forestry operation and constructing a pulp mill. This is a long term project, which is still at an early stage, and efforts have so far focussed on field work to determine the most suitable eucalyptus varieties, to validate forestry models and to analyze logistical processes. This phase is expected to last a further 3 years, in order to conclude the plantation trials, to test new materials and upscale operations. Work is also proceeding on identifying alternatives for inbound logistics, for raw materials and other factors of production, as well as outbound logistics, for eucalyptus pulp. annual production capacity of 12 million plants. Another important objective in the Group’s strategy is centred on certification of forestry management, and here too another important goal was achieved: the Group successfully renewed its forest management certification under the strict FSC and PEFC systems, bearing witness to its efforts and investment in implementing best forestry practise, biodiversity management plans and its plans for preventing and fighting forest fires. illustrating the support provided to the national forest fire protection system. This summer season once again proved that professional and certified forest management is the best defence against the scourge of wildfires. At the end of September, interest‐bearing net debt stood at € 390.9 million, down by € 31.9 from year‐end 2011. Cash generation in the first nine months was constrained by the stepping up of our policy for supporting raw material suppliers, by the disbursement of the final payments on capital projects from previous periods and by adoption of a supplier payment policy that takes into account the current difficulties faced in obtaining credit from the banks. Financial autonomy stood at 52.2% at the end of June and the ratio of Net Debt to EBITDA improved to 1.0. At 30 September 2012, the Group’s gross long term debt stood at € 357.8 million, and its debt maturing in less than one year at € 380.4 million. This short term debt includes the Portucel 2005/2012 bond issue with a value of € 150 million euros, which will be repaid at the end of October 2012, as well as the Portucel 2005/2013 bond issue with a value of € 200 million, due to be repaid in May 2013. With a cash position of € 248.8 million, undrawn credit facilities of approximately € 80 million, excellent capacity for cash flow generation and the possibility of access to the debt market, the Group enjoys a comfortable level of liquidity, which will allow it to honour its commitments. down on the start of the year, by 10% for the IBEX 35 and 5.3% for the PSI20. Amongst companies in the pulp and paper sector, stock market performance was also fairly positive in the third quarter, in particular for pulp producers in Latin America and for North American manufacturers. This positive performance also extends to the first nine months of 2012.
start of the year. Average daily trading stood at approximately 177 thousand shares. Most available indicators continue to point to a slowdown in the main world economies and to a continued climate of extreme uncertainty, although the dynamic varies widely between countries and regions. In the more developed economies, structural issues continue to hamper economic growth, whilst the emerging economies continue to enjoy a fairly high level of growth, although still subject to widespread cooling. In the Euro Zone, economic growth remains limited by strong tensions in the sovereign debt market and the knock‐on effect of a severe contraction in lending to individuals and businesses. Other factors holding back growth include the public spending cuts underway in most European countries and the high level of unemployment in the region. In the US, the main economic indicators also point to a slowdown and great uncertainties remain as to the fiscal policy for the coming years, which will have to include some degree of budgetary consolidation, and in relation to the political scenario after the presidential elections to be held this year. A degree of cooling may also be observed in emerging markets, especially in China, as a result of lower demand from the developed economies and a degree of difficulty faced by these markets in evolving from a model of growth sustained almost entirely by exports to one based on internal demand. In this difficult setting, and despite the resilience shown by the cut‐size paper market in Europe and the positive impact of capacity closures in 2011, as well as the positive evolution in the USD/Euro exchange rate, factors which together have helped to provide some support for the market this year, the outlook for the near future in the markets where the Group operates remains extremely uncertain. The expected persistence of the economic downturn, with its inevitable impact on employment levels, will continue to drive down paper consumption in the more developed economies, in particular in Europe and the United States, the Group’s main markets. There is also growing uncertainty as to the future of the pulp market. Whilst the rally in pulp prices in 2012 was one of the factors that helped sustain paper prices, by maintaining strong pressure on non‐integrated producers, the evolution of this market will be an important factor in the Group’s future performance. strong pressure to extract returns from capital‐intensive projects currently underway, could come together to hold up prices. The Group’s operations may in the short term be affected by labour disputes which have recently disrupted the port sector in Portugal, with damaging consequences for the country’s industry, limiting exports or requiring companies to use more expensive logistical solutions. Nonetheless, the Group enjoys a healthy order book and continues to operate at full capacity, placing nearly all its output on foreign markets, thanks to wide perception of the quality of its value proposition, excellent market penetration and awareness ratings for its own brands, and ongoing efforts to expand its markets. Turnover generated by the Portucel Group in the first half of 2012 stood at € 742.7 million, representing growth of 0.4% in relation to the first half of 2011, a particularly impressive achievement in the current economic climate. The growing volume of paper sales and excellent performance in energy operations were the factors which contributed positively to this growth. Paper business over the first half performed well in relation to the same period in the previous year, thanks essentially to growth in the volume of paper sold. Despite contraction in apparent paper consumption in Europe of 3.5%, the Group has successfully maintained a strong level of performance in sales, which grew by approximately 3%. Paper prices held steady, with the benchmark index for the sector, Pix Copy B, edging down by an average of close to 0.5%. Pulp sales were down by 18.2% on the 1st half of 2011. This was due in part to maintenance stoppages which took place at the Group’s two production centres at the start of the year, and also to the fact that less pulp is available for sale, due to increased integration into paper. In terms of prices, the market benchmark index, the PIX BHKP, presented an upward trend over the first half, but the average level of 567 €/ton was still down by 7.6% on the figure of 614 €/ton recorded in the first half of 2011. Indicators for the energy sector are also positive, with gross power output up to 936 GWh in the first half of 2012, a growth of almost 4% year on year, thanks to the good performance and stability of the Group’s various power plants, despite the planned stoppages referred to above. Sales of electricity to the national grid totalled 843 GWh, representing growth of more than 5% in relation to the same period in the previous year. Costs worsened in relation to the 1st half of 2011, mainly due to significant increases in power and natural gas prices, as well as in logistical costs, resulting in an overall rise in the factors of production. In this context, consolidated EBITDA stood at € 187.1 million, down by 6.1% on the same period in the previous year and representing an EBITDA / Sales margin of 25.2%, down by 1.7 percentage points. the value of depreciation over the period, due to the normal life cycle of the Group’s main assets. Financial results presented a negative figure of € 8.8 million, comparing favourably with the loss of € 9.4 million recorded in 2011. This improvement was due essentially to a reduction in the Group’s net debt. As a result, the consolidated net profit for the period stood at € 105.7 million, representing an improvement of 8.3% over the previous year. of the quality of the Group’s brands. Figures for BEKP pulp were similarly positive, with growth in market sales explained in part by the fact that sales in the first quarter were affected by the maintenance stoppages mentioned above. Average pulp prices also performed well, with the benchmark PIX BHKP Index rising by 12.5%. Despite the positive operational performance, EBITDA for the quarter was hit by a number of non‐recurrent factors, and accordingly held steady in relation to the previous quarter, at € 93.5 million, with an EBITDA / Sales margin of 24.0%. Operating results were also stable in relation to the previous quarter, standing at € 70.8 million. Net profits totalled € 53.4 million, up by 2.2%. Most available indicators point to a slowdown in the main world economies and to a continued climate of extreme uncertainty, although the dynamic varies widely between countries and regions. In the more developed economies, structural issues continue to hamper economic growth, whilst the emerging economies continue to enjoy a fairly high level of growth, although still subject to widespread cooling. In line with the measures set out in the memorandum between Portugal, the European Union, the European Central Bank and the International Monetary Fund, the Portuguese Government has legislated to reduce the tariffs for electricity produced in co‐generation facilities, from renewable and non‐renewable sources. The Portucel Group has been affected by this change which, in the case of non‐renewable co‐generation, will take effect gradually, as it reaches the end of the guaranteed tariff period for each of its facilities. Further information has been requested from the authorities in the sector in order to gauge the precise extent to which these measures will affect the Group. In the US, although the economy is still expanding, estimates of growth are moderate, at slightly more than 2% according to most analysts. The leading business indicators in fact point to a degree of deceleration, caused by the influence of foreign markets and the continuing weakness of the labour market, with a consequent impact on internal consumption. Great uncertainties remains as to the fiscal policy for the coming years, which will have to include some degree of budgetary consolidation, and in relation to the political scenario after the presidential elections to be held this year. A degree of cooling may also be observed in emerging markets, especially in China, as a result of lower demand from the developed economies. performance of demand for consumer goods in general. This trend in demand, combined with the impact of the significant capacity closures which took place in 2011, whose full effects will only be felt in 2012, the strength of the dollar against the euro and the recovery in pulp prices, which should keep non‐integrated manufacturers under strong pressure, are factors which may help to support the market over the course of 2012. In the US, the economic outlook, increased consolidation in the sector, reflected in an improved capacity to adjust supply to demand, and the likely increase in paper consumption associated with the presidential campaign due to take place this year, could all help to keep the market buoyant. Significantly, the Group continues to operate at full capacity, placing almost all its output on foreign markets, thanks to the strong perception of the quality of its value proposition, and the excellent penetration and awareness ratings enjoyed by its own brands. 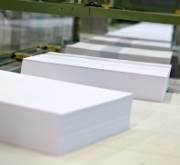 expected in the 3rd quarter of the year, as this is traditionally a cooling‐off period for the paper industry and consumption in the northern hemisphere, and also because of a possible destocking in the Chinese market. Nonetheless, the surge in supply to be expected as from the end of this year, as new capacity in Brazil and Uruguay comes on line, could disrupt the balance between supply and demand in subsequent years. As part of its strategy of exploring opportunities for growth and sustained value creation in the southern hemisphere, the Portucel Group has further strengthened its presence in Mozambique by obtaining a provisional Land Use Permit (DUAT) for an additional area of 182,886 hectares in Manica Province, issued by the Mozambican government (Council of Ministers Resolution of 19 December 2011). This new permit was granted under the agreement in principle reached between the Portucel Group and the Mozambican government in 2008, under which land use rights had already been granted for an area of 173,327 hectares in Zambezia Province. The Group now has at its disposal a total area of approximately 360,000 hectares for eucalyptus plantations and for commercial farming by its employees and local people. The Portucel Group recorded consolidated sales in the first half of 2011 of €739.6 million, representing growth of 12.6% over the same period in 2010. This growth resulted from positive performance in the Group’s uncoated woodfree printing and writing paper (UWF paper) business, in terms of both quantities sold and sales prices, and also from growth in energy sales. Output of UWF paper from the new mill in Setúbal has continued to rise, resulting in an increase in the quantities placed on the market. This growth in sales of UWF paper combined with a recovery in sales prices – the benchmark index for the European market, PIX Copy B, published by Foex, was up by an average of 10.8% on the same period in 2010 – resulted in an increase of approximately 16% in the value of paper sales in relation to the first half of 2010. Group’s average sale price dropped slightly in relation to the 1st half of the previous year, in line with the market, resulting in a reduction of around 3.5% in the value of pulp sales. In the energy segment, sales grew in value by 15.0% thanks to the conclusion, in the second half of 2010, of several projects in this area, with the new facilities now fully operational. On the costs side, evolution was unfavourable in relation to the same period in 2010, due to rising costs for certain factors of production, in particular chemicals and timber. In the case of timber the situation was aggravated by the need to increase imports, due to a shortfall in supply on the Portuguese market. Consolidated EBITDA stood at € 199.2 million, up by 11.8% over the same period in 2010, resulting in an EBITDA / Sales margin of 26.9%, slightly down on the 1st half of 2010, reflecting the increase in costs previously mentioned. Operating results were practically unchanged at € 125.3 million. The Group recorded a negative financial result of € 9.4 million, compared with a similarly negative result of € 12.1 million in the first half of 2010. This positive evolution was due essentially to the significant reduction recorded in net debt. Net consolidated income for the period accordingly totalled € 97.6 million, representing growth of 8.0% over the first half of 2010.
sales in quantity. This expansion, combined with the slight increase in prices from March onwards, resulted in growth in the value of paper sales of over 6%. Growth in the quantities sold in relation to the 1st quarter was made possible by an increase in the paper output of the new Setúbal paper mill, and by the fact that the production stoppages for mill maintenance took place during the 1st quarter of 2011.
with a reduction in stocks, allowed for increase in sales, despite the growth in paper output and the increase resulting in internal consumption of pulp. Energy sales also performed well, growing by over 4.5% in the quarter. The Group’s good operating performance is not fully reflected in the value of sales, due to an accounting adjustment between quarters, without any impact on results. On the cost side, the upward tendency in timber and chemicals costs continued. Costs were also affected by a number of non‐recurrent factors, including the accrual for variable remuneration items. In this context, EBITDA was down by 8.1% on the previous quarter, and operating results fell by 12.3%. Net income for the quarter totalled € 46.2 million, down by 10.2% on the 1st quarter of the year. EMGE's 12th Cut-Size Mill and Mill Brand Benchmarking Survey (2010) sees Mondi's Color Copy rated as the highest performing office paper brand in West Europe, whilst Portucel Soporcel's Navigator has the highest awareness of all brands. The latest surveys (East & West Europe), conducted annually by EMGE & Company, which involved interviewing 300 merchants, OEM's and OSD's in 23 countries, includes ratings for seven (7) Brand Performance factors and twelve (12) Mill Performance factors. In the Mill Performance ratings this year, Mondi finished top again, in both East & West Europe.